CBD or Cannabidiol is a non-psychoactive compound of the Cannabis Sativa plant, also known as hemp. It has no psychoactive qualities, meaning it cannot get you high. However, it does have tremendous health benefits. We each have an endocannabinoid system (ECS), just like our nervous system and our digestive system. Its primary purpose is to keep our body balanced and healthy, infact it’s one of the core regulatory systems in our body. To do this, our body actually produces endocannabinoids and the ECS is made up of receptors all over the body that bind to these endocannabinoids. CBD, aka cannabinoids, mimic the endocannabinoids that our body makes. 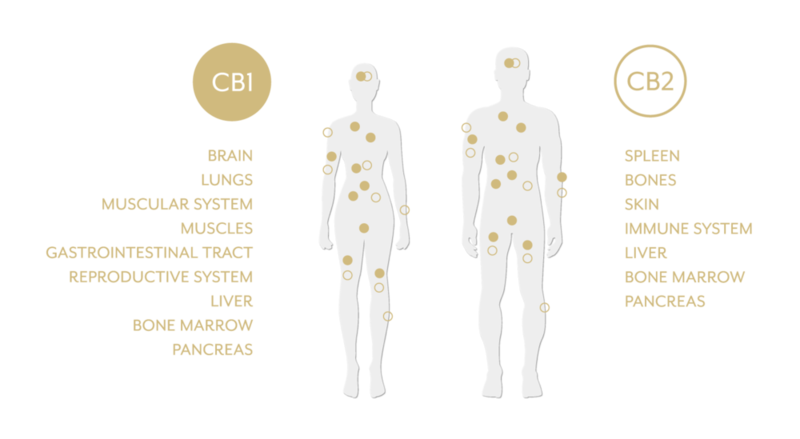 Therefore, when introduced to the body these receptors recognize CBD as part of it’s own molecules and elicits the same natural balancing effects. Demonstrated in recent studies, the endocannabinoid system is critical to the life cycle of basal cells, which make up 90% of our skin cells. The health of our skin relies upon our body’s ability to grow new cells and discard old ones. This is precisely what CBD enables our body to do efficiently, which ultimately rejuvenates the skin. The number one reason that our skin ages and the root cause of many skin issues is the accumulation of low-grade inflammation. Cannabinoids are potent anti-inflammatory agents. They help to discard old unhealthy cells and inhibits their future growth. Due to these extraordinary capabilities, CBD has been clinically proven to be effective for acne, psoriasis, eczema and rosacea. Another major benefit of CBD is that it balances the skin’s oil production, reduces redness and is effective for many skin allergies and rashes. Preliminary studies show promising results with CBD and reversal of UV damage. This means a more balanced body and beautiful, radiant, and youthful skin! We believe healthy skin starts from within. So we created our signature internal tincture to approach the skin’s radiance holistically by addressing balance in the body and mind. When taken internally, CBD has the extraordinary ability to mitigate stress and anxiety, and address internal inflammation and pain relief. Our tincture is designed to work synergistically with the powerful adaptogens that make up the tincture, supporting gorgeous skin from the inside out. Our Commitment to the Best. As with all of our ingredients every measure is taken to confirm that the elements in our products uphold the highest physical and ethical standards. 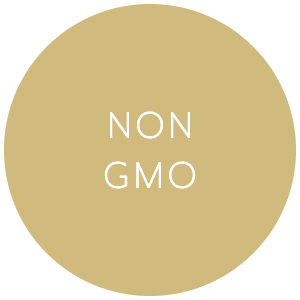 We take every step to ensure what we use is safe, tested, non toxic, and whenever possible organic. This is also true of our CBD. We have consulted many companies and found all are not equal. Through more than 15 months of research and formulation we feel we have landed on the most bioavailable, full spectrum, organic, clean and safe form of CBD. Our partner uses a vertical integrated system which is critical as they control every step from seed to final product, ensuring the same ethical care and quality from start to finish. The hemp crops are grown in the U.S.A. using organic, non GMO farming practices, and cultivated with naturally developed genetic strains of industrial hemp. Their facilities adhere to the strictest production standards including GMP, and FDA approved facilities. This can create a safe and regulated product, with unsurpassed potency and consistency. Their proprietary CO2 extraction process ensures the preservation of the full plant profile including all beneficial hemp derived cannabinoids, terpenes, and fatty acids while also eliminating unwanted compounds including THC. With this process our CBD contains the synergistic compounds necessary to produce the entourage effect which contributes directly to the efficacy of our products. All crops are triple lab tested, including in-house as well as 3rd party testing in addition to being certified by our CBD partners state Department of Public Health and Environment. We receive a Certificate of Analysis and Certificate of Quality Assurance for each batch we receive confirming not only that THC is completely removed but also that there are no solvents, pesticides, or heavy metals. There are two ways that CBD absorbs into the body. With CBD oil, it is wrapped in fat molecules. With water soluble CBD it is wrapped in water molecules. This is a very important distinction that plays significant role in bioavailability. When our bodies take in products made with CBD oil, the vast majority (90% or more) degrade by the liver and stomach before reaching the bloodstream. Topically, the oil is unable to penetrate through the skin's layers due to its larger molecular size and only a very small percentage may reach the receptors. Therefore whether taken internally or topically the results can be quite minimal at best. To put that into numbers, it means if you take 20mg of a regular CBD oil, you may only be receiving 2mg of usable CBD, and even less if the CBD is an isolate form. Because our bodies are unable to absorb oil well, CBD should be encapsulated in water for better absorption. This is why we utilize water soluble CBD. Thanks to the unique water encapsulation technology with which our CBD is manufactured, it enables up to 100% of the CBD molecules to enter into the cells whether received internally or topically. This smaller molecular size creates a direct absorption into the cellular level receiving the maximum benefits of the full spectrum cannabinoids.